Dozens of band members, as well as the Air Force Honor Guard, worked behind the scenes to pull it off, the band said in a release. This seems to be becoming an annual tradition for the Air Force Band. 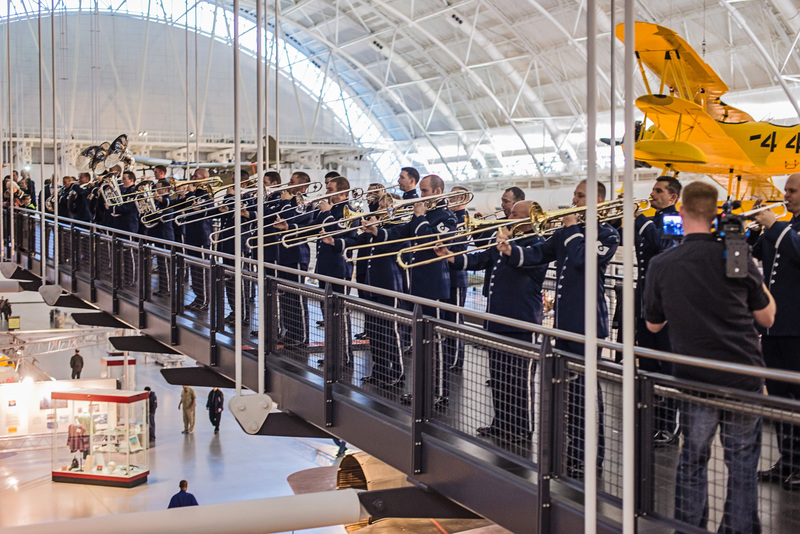 Last year, the band staged its first Holiday Flash Mob at the museum. Video of that performance went viral, racking up nearly 3 million views on YouTube, and its success prompted the band to do it again this year. More than 100 musicians from the Air Force’s six bands performed original arrangements by retired Senior Master Sgt. Bob Thurston. The arrangements were commissioned specifically for this performance. Col. Larry Lang, the band’s commander and conductor, led the flash mob.